Great mixture of several different delicious basils. Aromatic, fresh flavors of anise, cinnamon, clove, Italian, nutmeg, and lemon. Toss in a salad to add freshness. 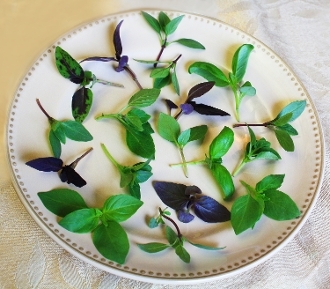 Add fantastic herb flavor to appetizers, sandwiches, seafood and soups. Muddle in a drink for a unique twist.